WASHINGTON, Jan 18: The US has announced a new missile defense policy aimed at addressing the challenges posed by Russia and China, which seeks to displace America in the Indo-Pacific region and has adopted an assertive posture in disputes over territorial boundaries with its neighbours, the Press Trust of India reported on Friday. In its 'Missile Defense Review' report released Thursday, the Pentagon said Russia and China were developing advanced cruise missiles and hypersonic missile capabilities that can travel at exceptional speeds with unpredictable flight paths which challenge the existing defensive systems, the PTI report said. These are challenging realities of the emerging missile threat environment that US missile defense policy, strategy, and capabilities must address, PTI said citing the US report. "While Russia and China pose separate challenges and are distinct in many ways, both are enhancing their existing offensive missile systems and developing advanced sea and air-launched cruise missiles as well as hypersonic capabilities," PTI reported Acting Defense Secretary Patrick Shanahan as saying. The report presents a comprehensive and layered approach to prevent and defeat adversary missile attacks through a combination of deterrence, active and passive missile defences, and attack operations to destroy offensive missiles prior to launch. This comprehensive approach to missile defense strengthens America's ability to protect the homeland, allies and partners and deters adversary threats and attacks, Shanahan said. It assures allies and partners, engages in diplomacy from a position of strength, hedges against future risk and preserves America's freedom of action to conduct regional military operations in defense of its interests, Shanahan said. "China seeks to displace the United States in the Indo-Pacific region and reorder the region to its advantage," the report said. 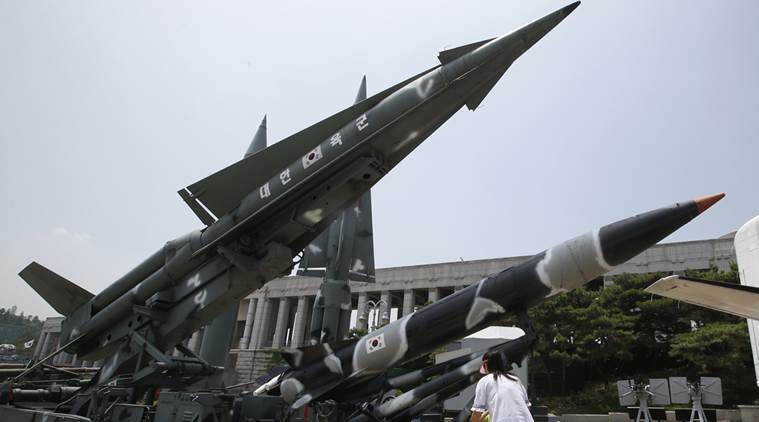 Offensive missiles play an increasingly prominent role in China's military modernisation, its coercive threats and efforts to counter US military capabilities in the Indo-Pacific, it said. China has deployed 75-100 ICBMs, including a new road-mobile system and a new multi-warhead version of its silo-based intercontinental ballistic missile (ICBM). While Russia illegally occupies territory outside its borders, seeks to coerce and destabilise its neighbours, and flouts treaty obligations, China has adopted an increasingly assertive posture in disputes with its neighbours, many of whom are US allies or partners, the Pentagon said. "These include disputes over territorial boundaries, claims to contested island territory, and a campaign to build and militarise islands in the South China Sea. 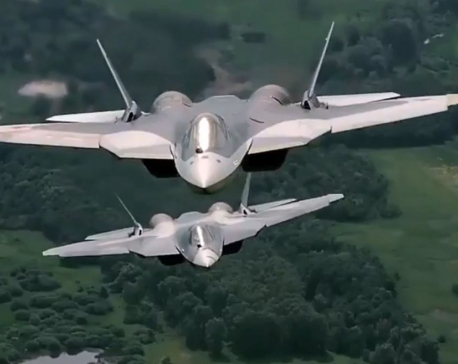 The military forces and doctrines of these and other States feature offensive missile capabilities that are growing rapidly in size, sophistication and prominence," the Pentagon said. "China can now potentially threaten the United States with about 125 nuclear missiles, some capable of employing multiple warheads, and its nuclear forces will increase in the coming years. Beijing also is developing advanced technologies, such as MaRVs and HGVs," it said. Observing that China is developing missile capabilities intended to deny it the capability and freedom of action to protect US allies and partners in Asia, the Pentagon said a key component of Beijing's military modernisation was its conventional ballistic missile arsenal designed to prevent US military access to support regional allies and partners. "China is improving its ability to strike regional targets, such as US bases and naval assets, at greater ranges with the addition of the growing number of medium and intermediate-range ballistic missiles. This includes sophisticated anti-ship ballistic missiles that pose a direct threat to US aircraft carriers," it said. The Pentagon said the wide-ranging developments in China's expansive offensive missile arsenal posed a potential nuclear and non-nuclear threat to US forces deployed abroad, and are of acute concern to US allies and partners in the Indo-Pacific region. China is aggressively pursuing a wide range of mobile air and missile defense capabilities, including the purchase of S-400 systems from Russia, each with four interceptor missiles, and is developing additional theatre ballistic missile defense systems. It also has announced that it is testing a new mid-course missile defense system. Russia considers the US and the NATO to be the principal threats to its contemporary revisionist geopolitical ambitions and routinely conducts exercises involving simulated nuclear strikes against America, the report said. The Russian leaders claim that Moscow possesses a new class of missile, the hypersonic glide vehicles (HGV), which maneuver and typically travel at velocities greater than Mach 5 in or just above the atmosphere, it said. North Korea continues to pose an extraordinary threat and the United States must remain vigilant, the report said. "One of Iran's primary tools of coercion and force projection is its missile arsenal, which is characterised by increasing numbers, as well as increases in accuracy, range, and lethality," it said.